Leeds United have been hit by a transfer embargo and will not be able to sign any players for the rest of the season, after failing to meet Financial Fair Play guidelines. The Elland Road club are one of three Championship outfits - along with Blackburn Rovers and Nottingham Forest - to be placed under an embargo. The League announced that the three clubs all incurred financial losses more than the £8m permitted during last season. 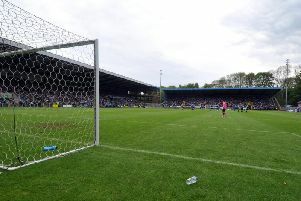 A statement from the Football League released on Monday morning read: “An initial analysis of Financial Fair Play submissions from the current 24 Championship clubs has indicated that three clubs – Blackburn Rovers, Leeds United and Nottingham Forest – have failed to meet the Fair Play Requirement under the division’s Financial Fair Play rules.